No fluff, just "Good Stuff", "Neat Stuff", stuff that "Works". Listed below are products that we manufacture or sell. Click on the name for pictures and more information. Click Here Unbiased and truthful TackleTour review of the Texas Tackle split ring pliers. And again click here Another review only with better pictures :)...."the best there is"
SSplit-Ring Pryers - Now "PATENTED". The "World's Best Split Ring Pliers" is what USERS say about it. These are the ones that you've seen in BassMaster, In-Fisherman (also the In-Fisherman Bass Guide), Salt Water Sportsman, Field and Stream, Sports Afield, Outdoor Life and many other magazines and books. Now available in a new and larger size for pike, musky, peakcock bass, and offshore lures. PointMaker Hook Sharpener - The finest hook sharpener ever developed in the history of the fishing hook. The microscope proves it. TROKAR hooks now added. 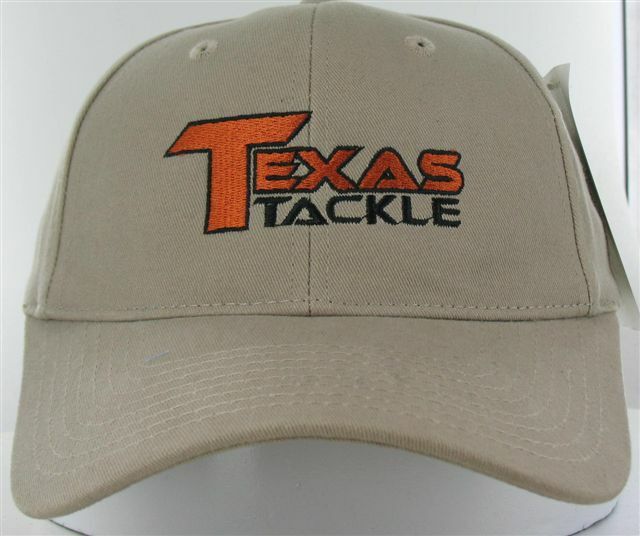 Texas Tackle cap..high quality semi-structured cap with brass buckle, not velcro, for exact fit. $12.00 plus $5.00 shipping. Xtreme Reel lubricant..The ultimate lubricant for fishing reels..2 oz size $9.00 plus $3.00 S&H. Click Here Read what's being said about it. We no longer carry this "good stuff", but you can get it at Tackle Warehouse. RPX Fuel Additive...BEST STUFF EVER FOR CARBON BUILDUP. The next generation in fuel technology. Not just great, but fantastic. Put it in every engine that you own..car, truck, outboard (especially outboards and 2 cycle engines), lawnmower, weedtrimer etc. The first product to ever make claims such as "significant reduction in CO, HC and NOx emissions," and be able to back them up with independent laboratory 511 Hot Start Tests. RxP Gas Kicker also increases horsepower. Kicker works equally well in gasoline or diesel engines and makes reformulated fuel burn like high grade gasoline. Click here for more info. 2 1/2 oz bottle treats 25 gallons. SIX (6) bottles for $36.00 includes shipping and tax. SARKS brand "Jamaican Me Crazy" coffee. DON'T CONFUSE THIS WITH ANY OTHER "JAMAICAN ME CRAZY" COFFEE. They're not the same. We know, we've tried them and they're NOT the same as SARKS. The 2 lb bag is $16.00 plus $7.00 shipping. Cull-R-Rope floating rope fish culling system - The original and best way to cull fish. Zilla Baits - Hand made custom baits, rigging, and presentation techniques to catch RECORD class bass. Priorities and Heroes - The most important stuff. Dealer and distributor inquiries invited.